If you're a quilter, you have a superpower: the ability making unique personalized gifts with your own hands. When my sister went back to school this summer, I sent her a care package to start the year off on the right foot. 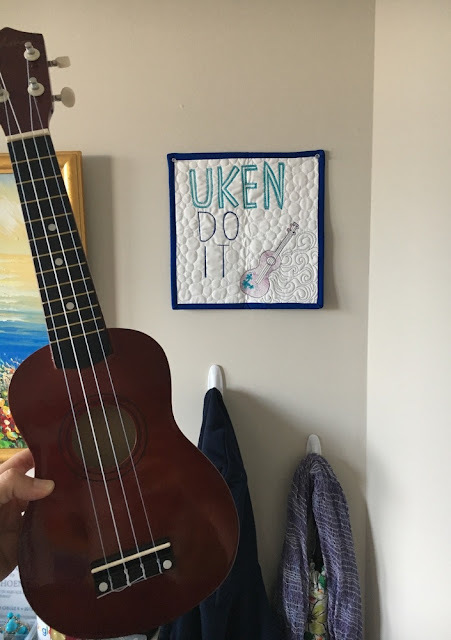 "UKEN do it" - get it? Tee-hee. My sister LOVES puns and playing her ukulele. She's regaled me with stories of playing all over Barcelona (even once with her professor!). She's even played over the phone for me. 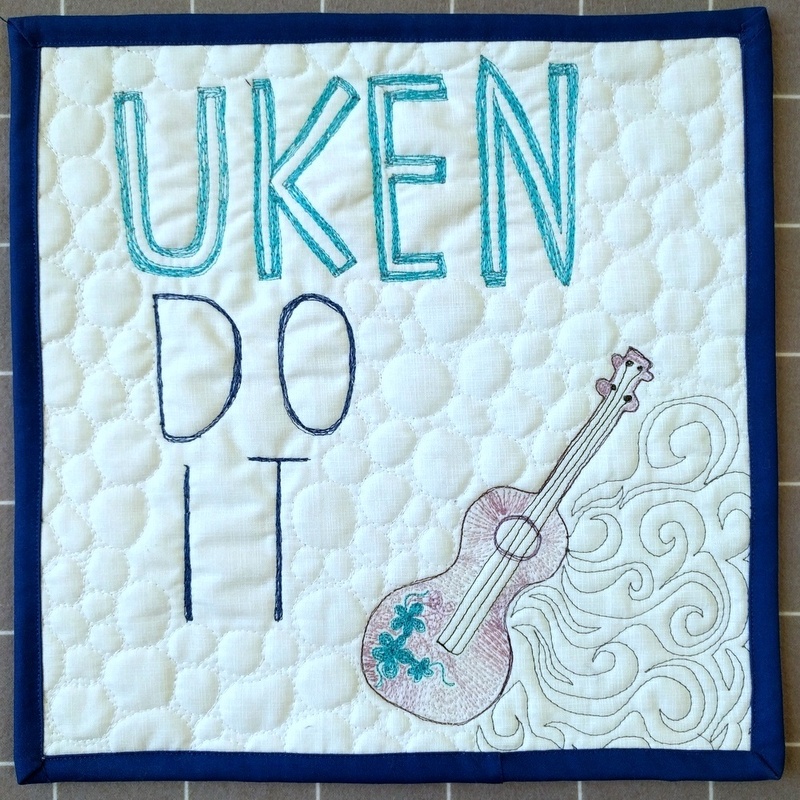 So, to make a small happy mini quilt, I looked up some ukulele puns. This one seemed to fit best! 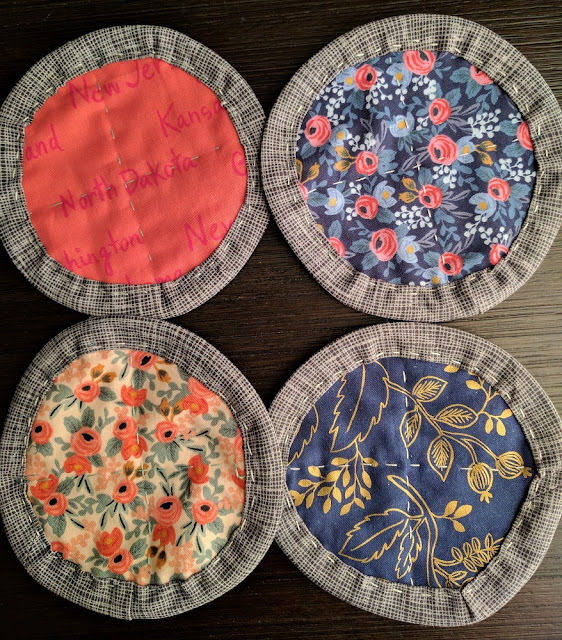 I also stitched up some reversible handmade coasters for my sister and her roommate (they each got two matching ones). My sister loves Rifle Paper Co's style (can't say I blame her), so I used their fabrics plus a nice neutral Carolyn Friedlander for the binding. The Big Stitch Coaster tutorial (also by Carolyn Friedlander) was helpful BUT even though I used bias binding, I had a lot of trouble stitching it down by machine. Eventually, I figured out that I could baste it and then hand sew around each one with big stitches. That seemed to do the trick with minimal issues (plus, it was cute and gave me an opportunity for some handwork). Hopefully these little gifts have brightened up their apartment! 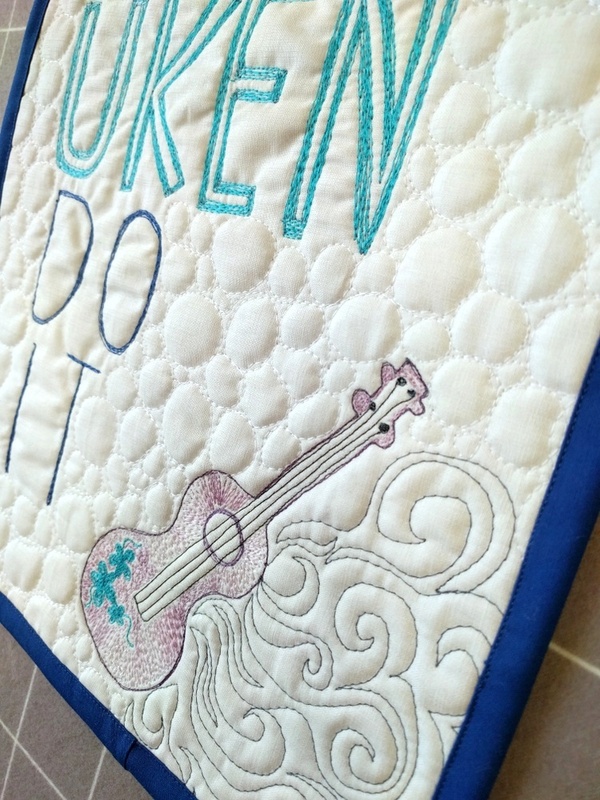 Linking up to NTT, Crazy Mom Quilts, TGIFF. What thoughtful gifts. It is a "fun pun", lol. What a cute, thoughtful, creative and fun gift- that wall quilty sign is awesome! I like the coasters too, but my boys would probably never use one...lol!. I hope you don't mind if I steal your idea for my college sophomore boys' 20th birthdays.